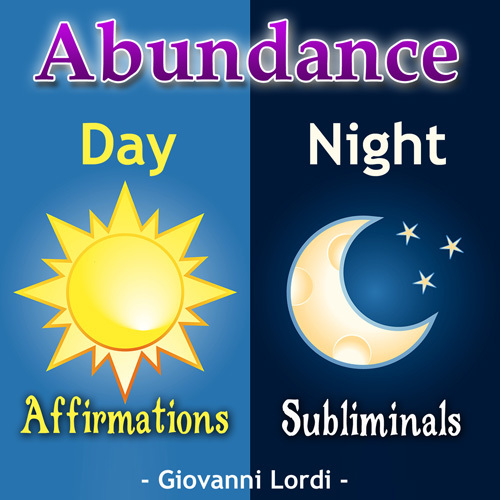 Attract Abundance, Good Fortune & Wealth with the powerful affirmations & seperate subliminal track! This is a special 2 part program. Part one is designed to be listened to during the day (spoken affirmations) and part two at night (subliminal messages embedded in binaural music). Both have very powerful statements designed to empower all parts of you toward abundant prosperous circumstance. Taking this 'two pronged' approach creates both conscious and subconscious change. It will completely overhaul how you create wealth, achieve your financial goals and embrace abundance of all types into your life. Anyone else that wishes to attract and embrace good fortune in their life! Spoken affirmations are fantastic to really direct your mindset at a conscious level towards a particular goal or achievement. On these tracks I use direct affirmations which I get you to say aloud or inside your mind with me. The upbeat music helps reinforce these. The affirmations I use are quite simple really, but very effective to really get that abundant mindset - "I embrace wealth", "I am realizing my goals", "I become more abundant each and every day" and "I am in synch with the laws of attraction"
The spoken affirmations can be listened to at any time - anywhere - even when you are driving! This is a very relaxing track, perfect to fall asleep with! While you are sleeping the subliminal messages will be received by your subconscious mind. This reinforces the exact same affirmations, only at a subconscious level for maximum change. These messages are completely safe and extremely effective to really change your perspective to embrace abundance and fortune. Links sent via email or downloaded from within your account. The files are NOT zipped, so you can download straight to your IPhone, IPad, computer or any mobile device. The links last for 10 download attempts with no time limit.